•	The Interlock from the MTL series is a lock for multi-turn applications like Gate or Globe, Butterfly- and Ball valves with gearboxes. •	The MTL Interlock series is delivered in 3 sizes; MTL-S, MTL-L and MTLS-S.
•	MTLis available in Single Key or Double Key models. 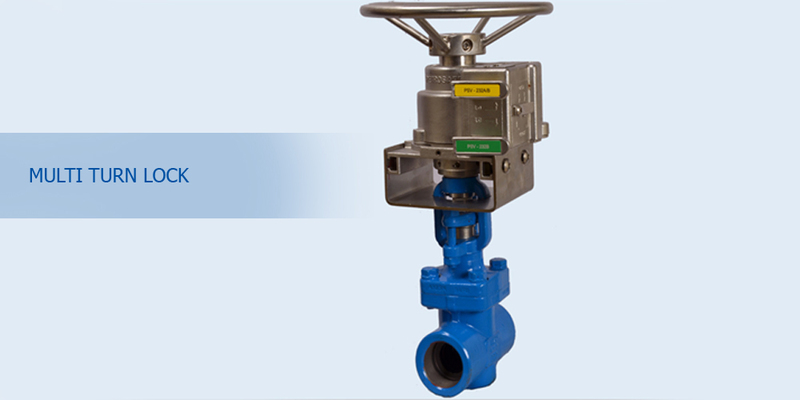 The Interlock is easily mounted on the valves and valves can be locked in Open or Closed position by removing a Key. •	A Key can be released in either Open or Closed position, this ensures that valve is locked in the desired position. The number of rotations varies for all valves. The MTL Interlock is designed with a field adjustable counting mechanism. 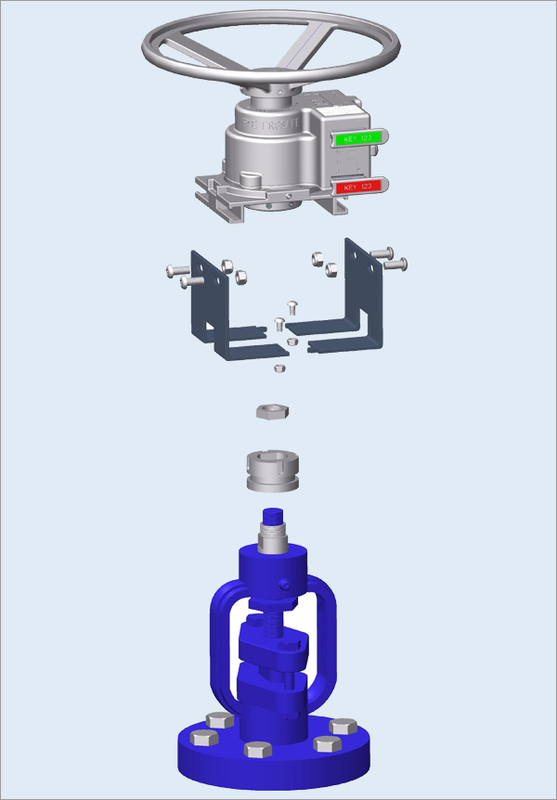 In order to synchronise the opening and closing of the valve with the Interlock mechanism has to be set. This can be done by simply tightening the four sets of screw on the counter which is located inside the lock. The Interlock can be fitted on the valve during live process, without the need to shut-down the system, nor does it compromise the certified pressure envelope of the system. A Hand wheel is provided in the various sizes according the application. MTLS-S is used for small valves upto 2”.